How Many Calories Are in a Slice of Swiss Cheese? Authentic Parmigiano Reggiano is only made in Italy. 3 How Many Calories Are in a Slice of Swiss Cheese? 4 How Much Is a Single Serving Size of a Drink? 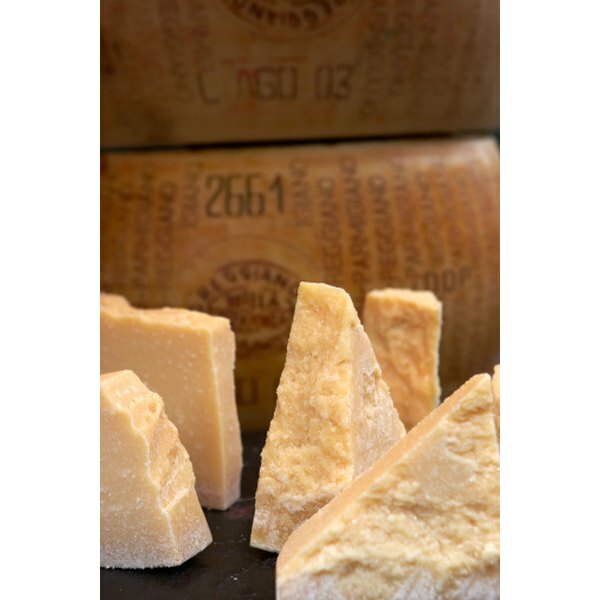 Parmigiano Reggiano is the official name for authentic parmesan cheese imported from Italy. Made from cow's milk, Parmigiano Reggiano is formed into large wheels that are stamped with the cheese's name and then aged for at least a year and often two to three years. It has a dry texture and a nutty flavor, and because it is made from part skim milk it also has less calories than many other cheeses. A single oz. of Parmigiano Reggiano cheese contains 110 total calories. For comparison's sake, 1oz. of cheddar cheese has the same amount of calories. Cheddar's fat, protein and cholesterol count are also comparable. A significant percentage of Parmigiano Reggiano's calories come from fat -- about 65 percent total. One oz. 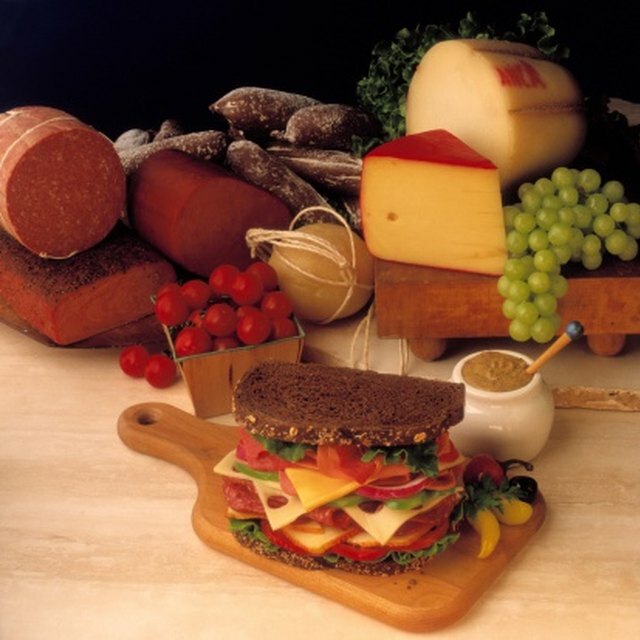 of cheese contains 8 g of fat, about 12 percent of your daily allowance. Six of those grams are saturated fat, accounting for 30 percent of your daily allowance. Parmigiano Reggiano contains 25 mg of cholesterol, about 8 percent of your daily allowance. Parmigiano Reggiano contains a respectable amount of protein. A 1-oz. serving provides 9 g of protein, about 18 percent of your daily needs. Parmigiano Reggiano is a a good source of calcium, with 1 oz. providing 30 percent of your daily needs. The same size serving also provides 20 percent of your daily B12 needs. Parmigiano Reggiano also contains about 180 mg of sodium per ounce -- note that domestic parmesans have much more salt, about 448 mg per ounce.